After starring in “Love in the moonlight” in 2016, Park Bo Gum became the youngest artist to be named “Actor of the Year” by Gallup Korea. He is also the first ever actor to top the Korea Power Celebrity list by Forbes. For his latest K-drama “Encounter”, he starred alongside Song Hye Kyo. Brought together by fate, they first met each other in Cuba, and started their love story. 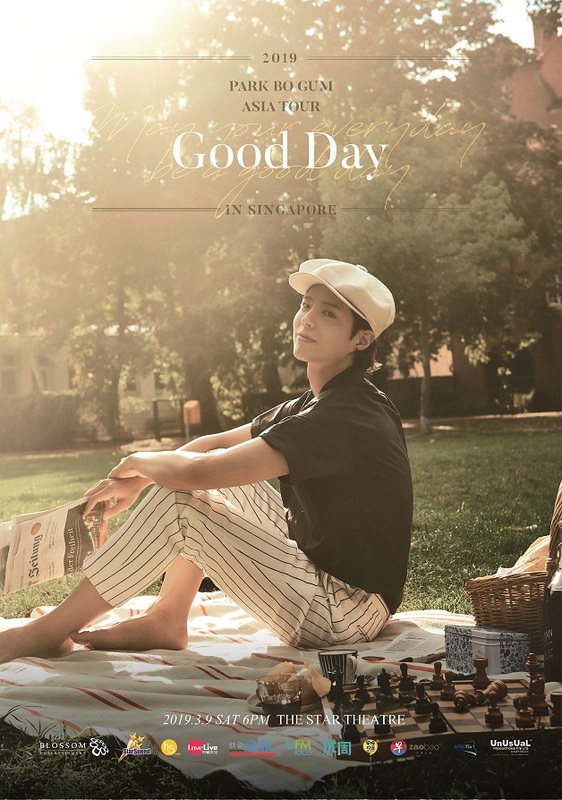 Being “the warmest boyfriend”, he is going to meet his Singapore fans on 9 Mar (Sat), 6pm 2019 at The Star Theatre, The Star Performing Arts Centre.